Happy Turkey Day and such! 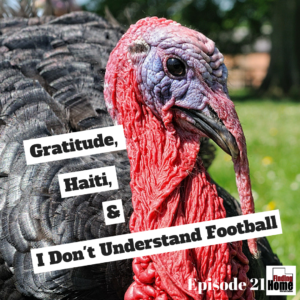 This episode I get a little in the weeds about gratitude and Haiti, I also touch on how little I understand football, which is very little. Subscribe man, you know you want to. ← Episode 20- What’s The Point? Episode 24- New Year, New You?